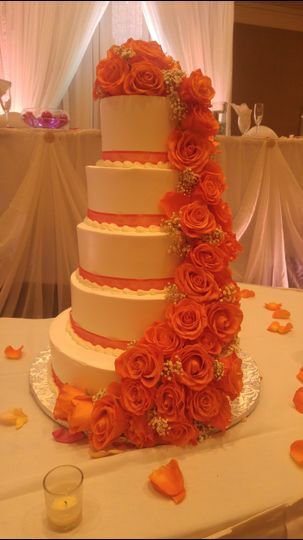 Located in Albuquerque, New Mexico, Genesis Decorations & Cakes provides cakes for weddings. This company is devoted to creating a unique aesthetic that is totally (and edibly) you. 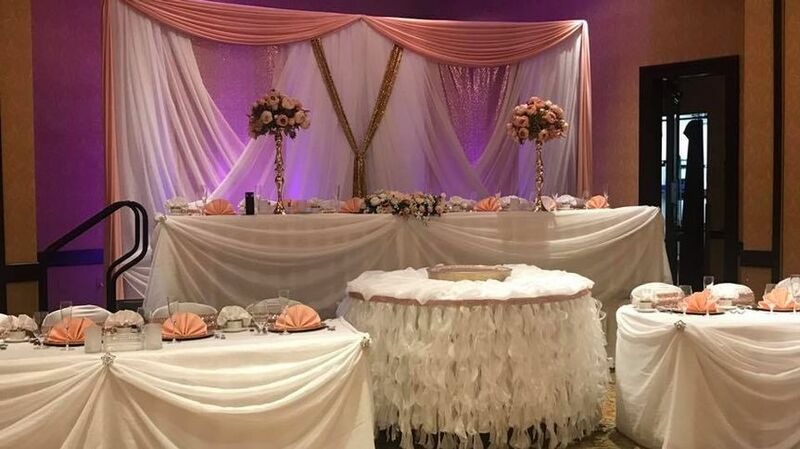 Through elegant, customized cakes, floral arrangements, and other personalized wedding décor, this service breathes life into the wedding of your wildest fantasies. 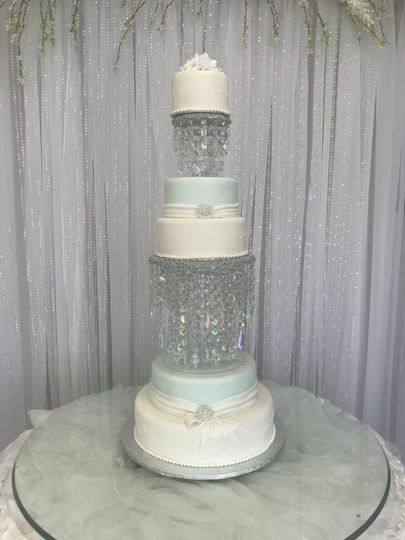 Serving the Albuquerque, New Mexico area, Genesis Decorations & Cakes consults with every client to offer cakes that will take your breath away. 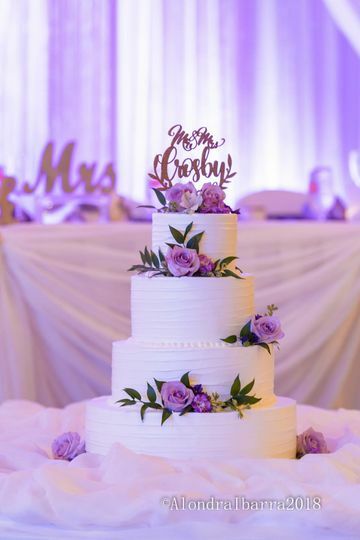 The bakery also offers event planning services and customizable, personalized decorations that bring life to the wedding of your dreams. Floral services are also available. 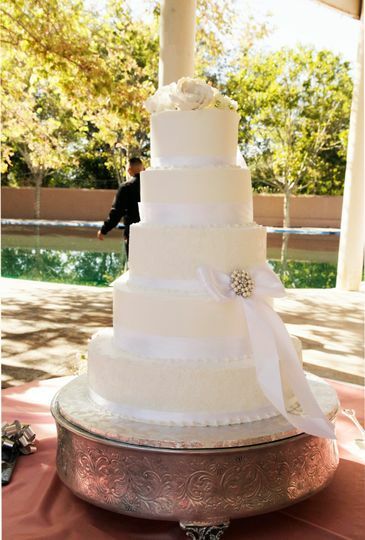 In addition to standard wedding cakes, this cake service also offers groom’s cake and cupcakes. 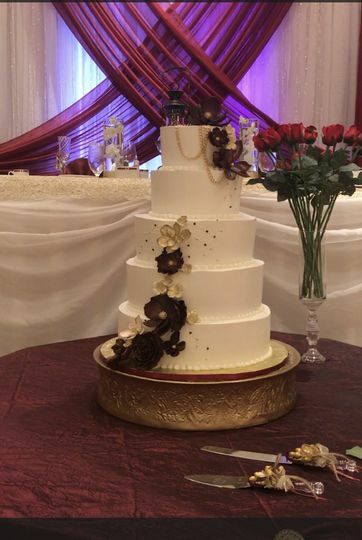 Cakes are custom designed according to your unique and delectable vision. Lactose-free and nut-free cakes are available to those who have dietary restrictions. Locally-sourced ingredients and fresh fruit can be used in your personalized cake. 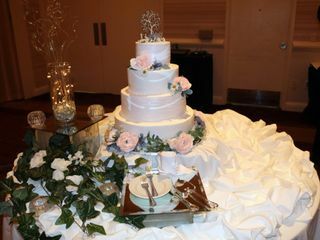 My husband and I are so happy we hired Lupe from Genesis Decorations and Cakes to make our wedding cake. Lupe was so helpful to work with and patiently helped us figure out exactly the kind of cake we wanted. 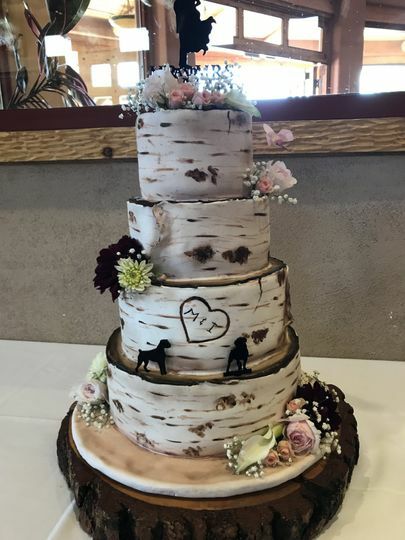 Our four tiered cake was beautiful and delicious! I was blown away when I stepped into the reception and saw it. Thank you Lupe!